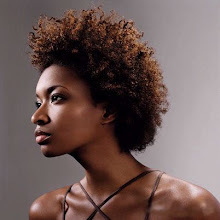 In My Hair: Do Black Women Have Attitude? If you are a black woman, then at some point in your life, you have heard of the so called black female attitude problem. 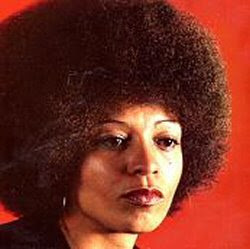 Expressions like black women think they are ‘all that’ or they ‘feel sweet’ are common place these days. Perhaps the most popular expression that pigeonholes and marginalizes the context of the black woman is the so called Angry Black Woman (ABW) term. The expression gives off a vision of a tart-tongued, creatively choreographed neck twisting, finger-wagging, eye-rolling, eye-brow rising, loud-mouthed, drama-filled, defiant sister in a typical Shakespearean taming-of-the-shrew style. Are there sisters like that? Most certainly, just like there are other women of other races with attitude as Shakespeare observed hundreds of years ago. But are all black women like that? It is interesting how the stereotypical portrayal of black women has evolved over the years. 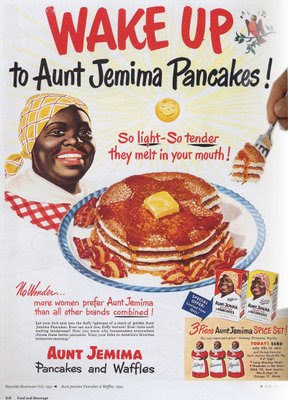 At one point it was the smiling, asexual, undesirable, overweight Auntie Jemima-esque Mammy and then not too long ago the promiscuous, highly-sexed, always ready, never-say-no, crafty Jezebel who ensnares men with her sexual charms. 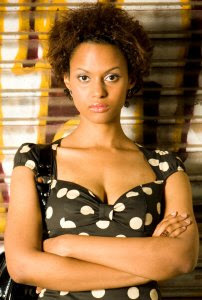 Today it is the angry black woman, or the attitudinal black woman. One male caller complained that black women will only date men who had cars, money, bling bling and had a white collar job. He pointed out that black women were too haughty, too demanding and had unreasonably high standards (which he obviously felt he feel short of) and that was why he preferred interracial dating. The host of the show, who was a black male, challenged him and asked if he was saying that ALL black women had attitude. The caller’s response was that 90% of them did. The host then told him that he disagreed with that generalization and that it was not his experience. He pointed out that some black women had attitudes but not all do. After the conversation ended, we both wondered how that particular caller could possibly know that many women, to the point where he would come to that conclusion. The sweeping statement that 90% of black women had attitude was a disturbing one. In general many black women have no problems asserting themselves. They have no problems showing their confidence and capabilities. They have no problems expressing themselves and speaking their minds. The only problem is that many times when they do it, especially in the work place, they are viewed as too strong. In fact the words powerful, authoritative, strong, aggressive, feisty, independent and in control sound admirable until they are applied to black women. Men are expected to be strong and assertive, traits that are aligned with being a good leader, but when a black woman falls under those descriptions, it is called having an attitude problem. In fact when they are asserting themselves, the perception becomes that you dare not mess with them. There is no denying that some black women do express themselves in a provocatively angry way, but that does not justify typecasting all of them. It is true that there are some black women who fit the above bill, but it’s not a race thing. It’s a personality and character thing. Just as there are so many quiet, mild-mannered, bookish, sensitive black women out there, there are also many unpleasant to deal with woman out there. But that applies to men too. So once again one cannot generalize and conclude that all black women have attitude. In any case, what is wrong with a little anger? Throughout history, women's endeavours to stand up for themselves have been dismissed as the ramblings of angry women, whether they were black or not. A case in point example is the case of feminists, who are always brushed off as angry, rabble disturbers, opinionated and unreasonable women. But in a world where racism, sexism, ageism, single motherhood, misogyny, and even warped body image prevail contrasted with the objectification and fetishization of the black body, it comes as no surprise that some black women are angry. The truth is some women are angry because they are exhausted or they have been ignored and dismissed or they're not taken seriously, or they are being abandoned or they are being rejected. This anger of course is not justified if it becomes a never-ending bitterness that clouds ones present or future. It is not justified when it is an obstinate attitude which appears angry at everything in general and seems to especially relish demonizing all black men, nor is it justified when it is constantly a source of baseless and negative unsolicited criticism or advice. However, not all anger is bad anger. Sometimes anger is a signal that something is wrong and changes need to be made. There are numerous cases when anger has actually sparked revolutionary change in history. If as human beings, we're able to harness our anger and use our anger for the general good of society, then we are able to make big strides in our lives. This was proven by historical figures Sojourner Truth, Harriet Tubman and even Rosa Parks, who used their anger to spark social strength and change. Part of the reason Rosa Parks refused to get out of that seat was anger. The people who tried to get her out of that seat would have probably said that she had attitude in present day terms. Does that make her an angry black woman? I leave that to you to decide. Having read the article, I can agree with all that has been pointed out. However the whole black woman's attitude is not that simple. It's very complex. It's applauded when she stands up for herself and is considered righteous. When there's no need to utilize the particular attitude it becomes embarrassing and shameful. But, the actual association of this particular attitude is no doubt owned by black women. Our women have perfected it. It doesn't matter who society thinks it fits or doesn't; you've never been told off by any woman of any race until you've been told off by a black woman. Nobody does it better regardless of the perception. Not only that but not every black woman has it or is capable.